Officine Panerai - Internal Scratch? Today I noticed something bizarre that shouldn’t seem possible, yet there it is. 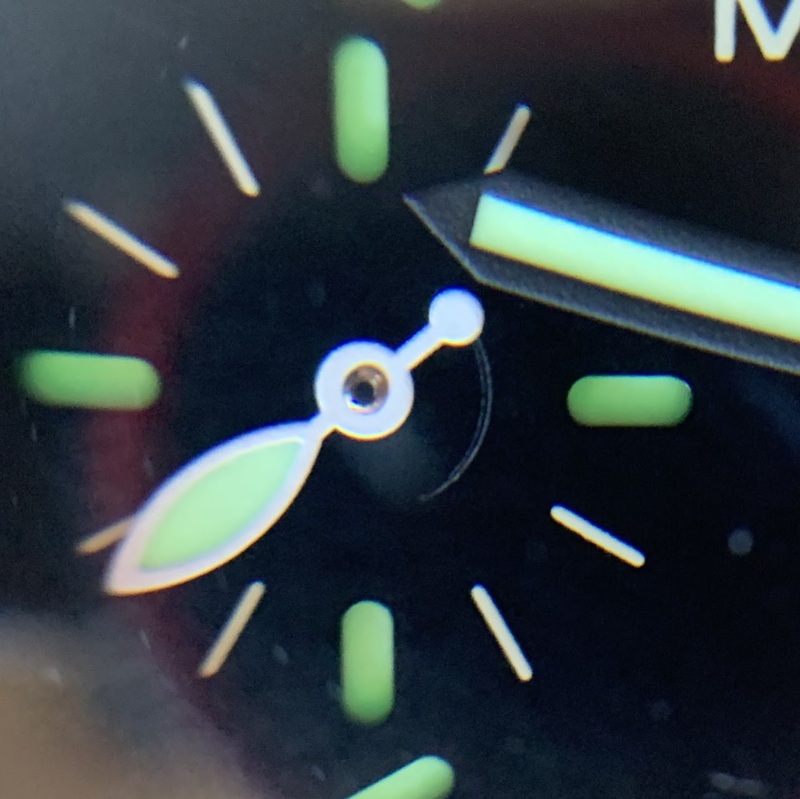 In the seconds hand area of my 111, there’s a slight white semi-circular scratch that seems to follow the path of the counterweight of the seconds hand (the other white marks are just dust on the crystal). I’ve never opened up the case (other than having sent it to Panerai for servicing more than a year ago) and there’s no way I could have pressed down the hand from outside the case. Has anyone seen this in their Panerai or have any idea what could have happened here? It seems the hand was pushed down too hard. Over time the the scratch has become deeper and more visible. I would send it back under their repair warranty. Hopefully Panerai will admit their mistake and make it right. This is exactly why I'm reluctant to send my 10-year old PAM 190 in for service. Concerned it will come back worse than before. Sadly, I have only bad memories of my only Panerai which I let go a few years ago; poor servicing was the problem then. You should request a new dial, free of charge.